At each step in the elaboration of a wine, a strict technical control gives the finishing touch to the actual tasting. Every single detail is important. "We were one of the first Houses in Burgundy to apply bar codes for identification on the barrels in order to ensure total traceability of our wines". 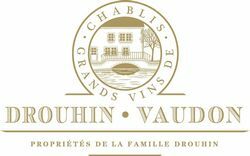 "We stamp each cork with the name of Drouhin Vaudon, the appellation and the vintage, in order to guarantee the authenticity of the wine". "We refuse to commercialize any appellation that does not reach the standards of the Domaine".